Heaven rewards those who work hard, and flowers in spring come to fruition in autumn. 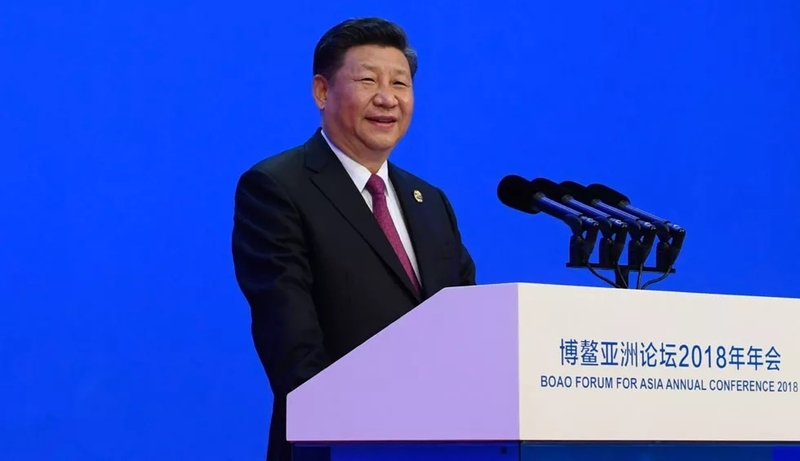 The focused endeavor in national development and unwavering commitment to reform and opening-up of the Chinese people have brought enormous changes to the country. An ancient Chinese classic teaches that heaven has its own law and those who embrace it will prosper. China's reform and opening-up meets its people's aspiration for development, innovation and a better life. It also meets the global trend toward development, cooperation and peace. We must not let our vision be blocked by floating clouds.Instead, we must dispel the clouds to see the sun, as we say in Chinese, so as to have a keen grasp of the law of history and the trend of the world. A Chinese philosopher recognized as early as over 2,500 years ago that one doesn't have to follow a beaten path if he wishes to benefit the people and one doesn't have to observe old conventions if he wishes to get things done. As a Chinese saying goes, "A mountain is formed by accumulation of earth and an ocean is formed by accumulation of water. "Happiness and a bright future will not appear automatically; success only favors those with courage and perseverance. Hainan today greets us with green mountains, blue ocean, gentle breeze and warm sunshine. Just like the radiance of the sun is reflected by a drop of water, the development of a country may be epitomized by an individual region. The successful practice of the Chinese people is a proof that there is more than one path leading to modernization. With the right direction and with unremitting efforts, all roads will take us to Rome. China's reform and opening-up can and will be a great success! Humanity has a major choice to make between openness and isolation, and between progress and retrogression. Each age and generation have their own challenges and missions. China's door of opening-up will not be closed and will only open even wider! Investment environment is like air, and only fresh air attracts more investment from the outside. China has no geopolitical calculations, seeks no exclusionary blocs and imposes no business deals on others. Happiness and a bright future will not appear automatically; success only favors those with courage and perseverance.